If you have found yourself driving around East Waco lately, you may have noticed quite a few changes going on! 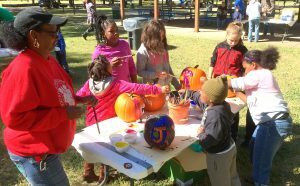 One change that we at NeighborWorks Waco are especially excited to announce is the renaming of East Waco Park, now known as the Wilbert Austin, Sr. Park. The Late Rev. 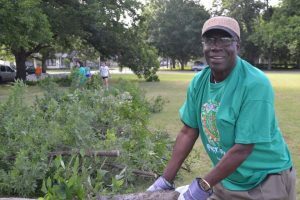 Wilbert Austin Sr. working in East Waco Park. The renaming comes in the midst of many renovations being done at the park through federal Community Development Block Grant funds. The park is getting upgraded sport court surfaces, new and improved lighting, as well as fencing around the perimeter of the area in efforts to make the Wilbert Austin, Sr. Park a safer, more utilized space for community residents!